Though the work of a ‘freelance’ designer is tough and arduous sometimes, it definitely still has a lot of appeal. I totally get the appeal, and she and I had a good conversation, and I pointed her to a lot of resources I’ve used and some questions that I’ve answered, but I figured today we’ll talk about the romance of freelance design. It’s been a whole two and a half years since I started my design career as a freelance designer. Though the model at which I conduct my business is different now, I still share a lot in common with freelancing. The word freelance has changed from being a designer that’s employed on contract under a company to covering someone who’s running their own independent business. I was one who ran my own business as a designer, meaning that I was in charge of marketing myself, interfacing with clients, and in charge of the contracts, payments, and completion of the work. There’s a romantic idea of what freelancing is like. You get to be your own boss, you can pick and chose who you work for, you have the ability to charge what you want and make your own salary. My love for freelance was always the romantic optimist in me speaking. The realist in me, on the other hand, realizes that though being your own boss is a beautiful thing, it’s hard work to make it sustainable. If it’s going to be it truly is up to me. So for aesthetic appeal, yeah it has a great appearance, but don’t think that it’s not going to require some legwork to keep it running. I still prefer working independently as my own business because I get to make the calls, but depending on what your goals are or how much you go out of your way to avoid risk, it may or may not be appealing to you. I would have done this regardless of me starting two years ago. I’ve always been raised around entrepreneurs in my family. I think I’ve always known that I want to run my own business. Would I have been super successful at it back then? I’m not sure. There’s a lot I had to learn which might have been accelerated by learning as I went along. Since I would be relying on that income, I had to make sure that it was something that could sustain my family and me in the future, which meant not relying on it now. Know that your income may start off small as you begin, but grow to a sustainable business if you can bring in the work. My spouse and I are catching up on debt that we have acquired together, and we’re working towards having six months of expenses saved up before letting me walk away from the job. Once I have that taken care of I will be able to focus on this full time. It’s a hard thing to do when there are so many things that weigh you down. I have been running these two companies by myself, and both bring in the money to sustain themselves. I have a strict rule that I can’t use personal funds to keep it going. The beauty of client work is that it has a very low barrier to entry. You just need to have a good enough computer to do the work and email or a phone to communicate with the client. Should you then get a job in the industry first for the experience? If you have the opportunity to get industry experience before you decide to go out there on your own, then that is a huge plus. I wasn’t classicly trained in design school, as** I had opted to teach myself from scratch**. I basically treated my education as a full-time job. So if you have the opportunity to work already as a designer, that will help you shortcut that step that I had to take. There’s just so much they don’t teach you in school that you learn by being “on the job” (which I’m told is true with design school too). When you actually do start moving into freelance (which I don’t recommend a blind jump into it, it’s probably smart to get a job that doesn’t require you to do the same type of creative work that you’re trying to freelance for. 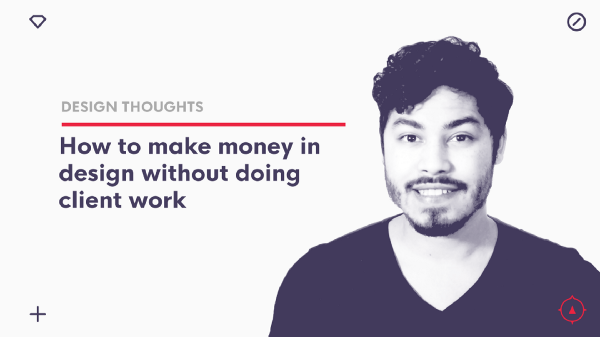 This can lead to massive creative burnout, because if you’re required to be creative all day, then go to work at your thing on the side, there’s going to be nothing left in your creative bank for your side gig. With my day job as a banker, there’s not much creative problem solving going on. So, when I do have client work to take care of, I have that full capacity to flex that part of my brain**. It is actually very refreshing to do design work **(vs. the monotonous work as a banker). Just know that having had experience as a designer doesn’t mean you know the business/time management that sits on the other side of the coin. You now need to learn how to do all the things that your manager/owner of the company has done for you in the past. You will now be in control of a business, and therefore at the early stages, be in control of production. When do you actually get to leave the day job then? 3–6 months of (100%) your monthly expenses saved in your bank. 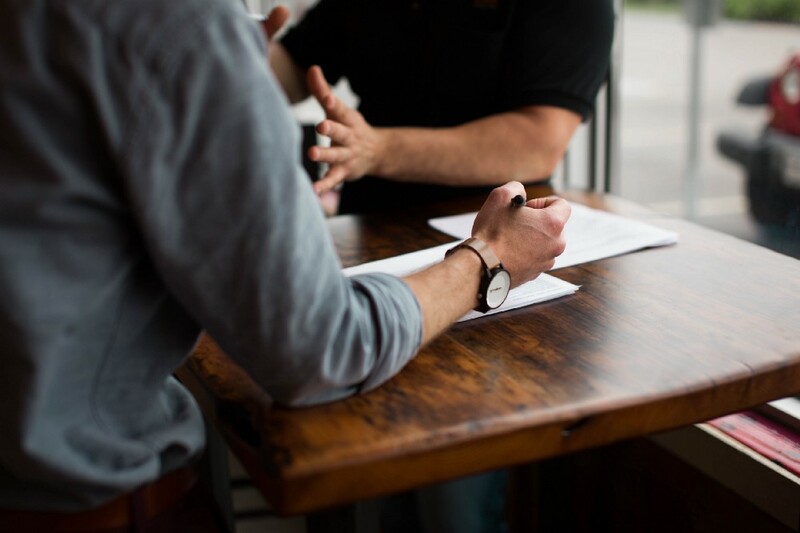 An income (after business expenses and taxes) that matches or exceeds what you make currently, unless you are able to work within a lower pay grade. Hiring legal help and tax help because your tax status may change. Is leaving a job to be a freelancer something I would recommend to anyone? Is leaving a job to be a freelancer to a person who has been preparing for the change and has a great idea of what to expect something I would recommend? When you become a freelance designer who relies on the income to make a living it changes your perspective of what work you take on and the amount of things you now become responsible for. It’s an adventure and I love it. Hopefully this helps and we can follow up with more if you need. What is most important to ensure your freelance work is efficiently completed? Keep control of your time. I find myself getting into trouble if I don’t have a task list to do or a timer going. This timer gives me 25 minutes to focus and when that goes off, I take either a 5 or 10 minute break to go do something and relax a tiny bit. Then when that break is over, I chain these timers work-break-work-break until I get my work done. The way my brain works is that it’s easily distracted. If I’m not constantly reminding myself that I have things to work on, I may end up 20 posts deep in some reddit thread or on a youtube binge. I don’t think this is an area that I have mastered, but one that I at least take steps to manage. It’s important to have your family on board. It may not always be the case, but thankfully, I have had very supportive family in my decision to work as a designer. I have a knack for focusing on things that I’m doing. It’s not like some people with shiny object syndrome that poke and prod at something… I actually put in hard work when I do something, and I think I’ve been able to convince them so far that it’s working anyways. It can be hard when your family doesn’t support something you do though. It goes to show how badly you want something, whether or not you allow the opinions of others to dictate what you do. Learn to understand and evaluate where they are coming from and why they have concerns that they do. If you can work through and work past other people’s objections to what you do, you’ll find that you have the drive that it takes to be successful as long as you keep that mindset up. If after all of this, you still have questions about stepping out as an independent designer, please send me your questions. 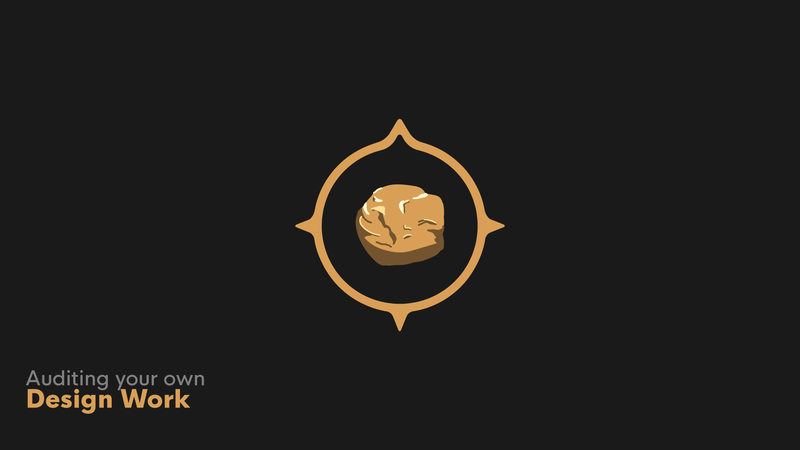 Remember that we have the Compass of Design community for you as well, should you actually want to focus and get clarity from others on how to become a better designer, we talk about these very things in there. I’ll catch ya next week! 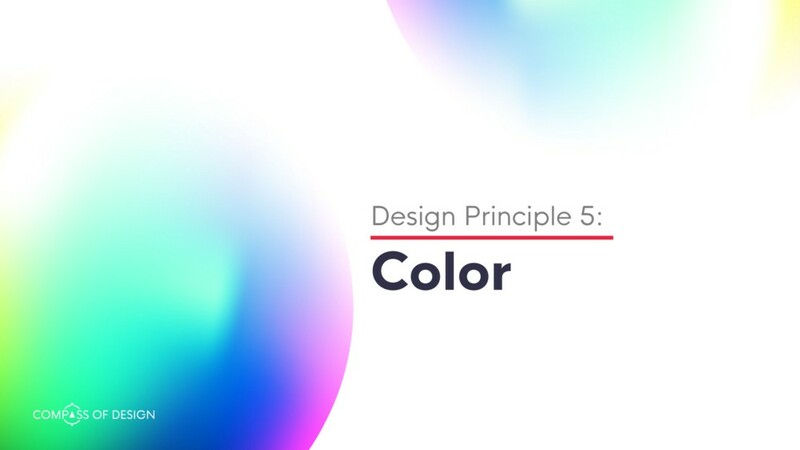 We have to make decisions for every element we design, and based on how much of the color in our design is built from having a set process, we may be making these decisions repeatedly and to no end. How do I audit my own design work? As a piece of your arsenal, your portfolio is a tool to use in your marketing game as a designer . You’ve got to make sure that what you put in your portfolio is purposeful and relevant to what you want to get out of using it. And if you’re not going through and auditing your own work, you may be missing opportunities to make your presence online as effective as it can be. One thing I am passionate about is quality design feedback. 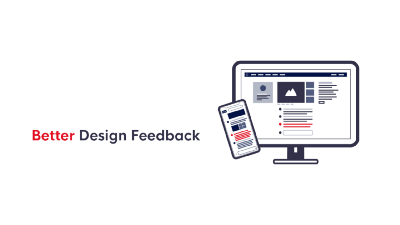 I’ll mention in a future post that it’s sometimes best to get other eyes on your projects, but having objective, quality design feedback is something that a designer needs to be able to move forward with their design skills.